“Fine dining doesn’t always mean tiny portions and stuffy service. In fact, these fine dining restaurants in Vancouver are where you’ll find warm and knowledgeable service that’s paired with impressive dishes and a welcoming atmosphere. Over in Vancouver’s West End is a restaurant with a view, Ancora Waterfront Dining and Patio. 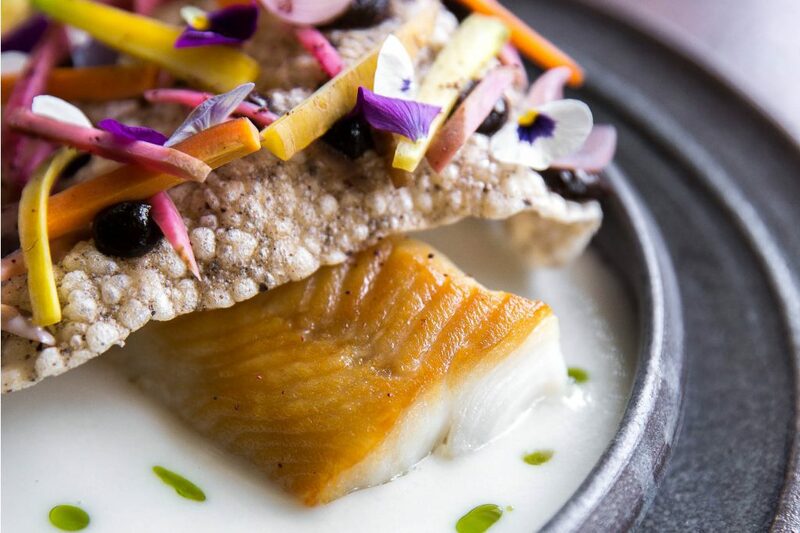 Ancora’s Executive Chef Ricardo Valverde and Chef Yoshihiro Tabo effortlessly blend Peruvian and Japanese cultures using seasonal and sustainable ingredients from local and global suppliers. Perched on the water, the beautiful dining room and view not only complements the food, but provides a stunning space to enjoy a lovely meal. Bishop’s in Kitsilano is a Vancouver classic that has gained a solid reputation over the years and it continues to be a favorite amongst locals. With a focus on local and seasonal ingredients, a visit to Bishop’s will have you enjoying the best of British Columbia’s farmers and producers. For something a little more lively, complete with music, head to the Fairmont Pacific Rim’s Botanist. Not only is the space a real stunner, the dishes are a gorgeous feast for the senses. After dinner, head downstairs to the Lobby Lounge for cocktails and more live music.